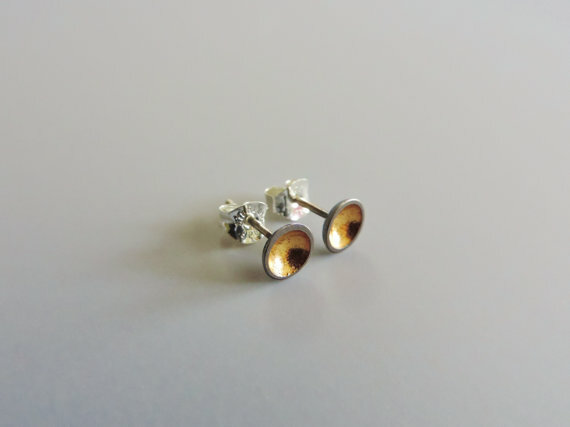 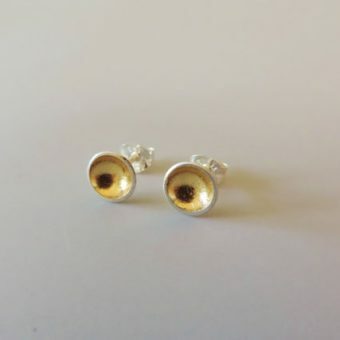 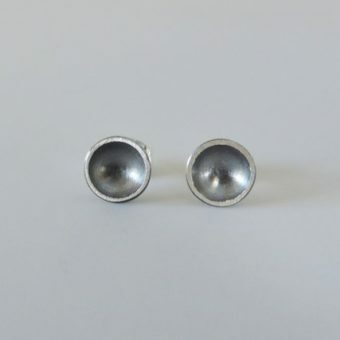 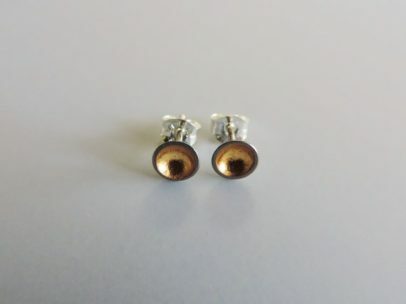 A modern and elegant pair of studs designed for women. 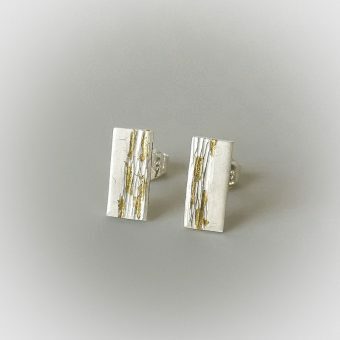 Made of sterling silver and gold finished with a dark patina. 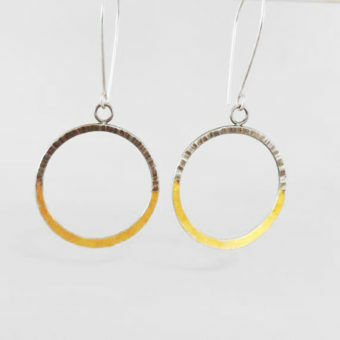 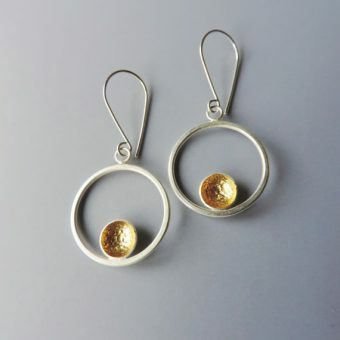 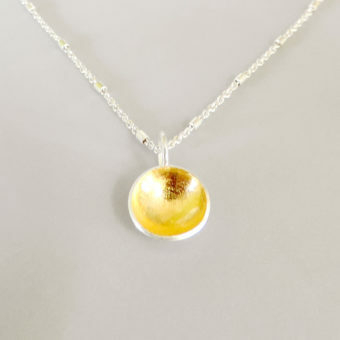 Sterling silver discs that have been domed and finished with 23.5k gold keum boo and a dark patina.